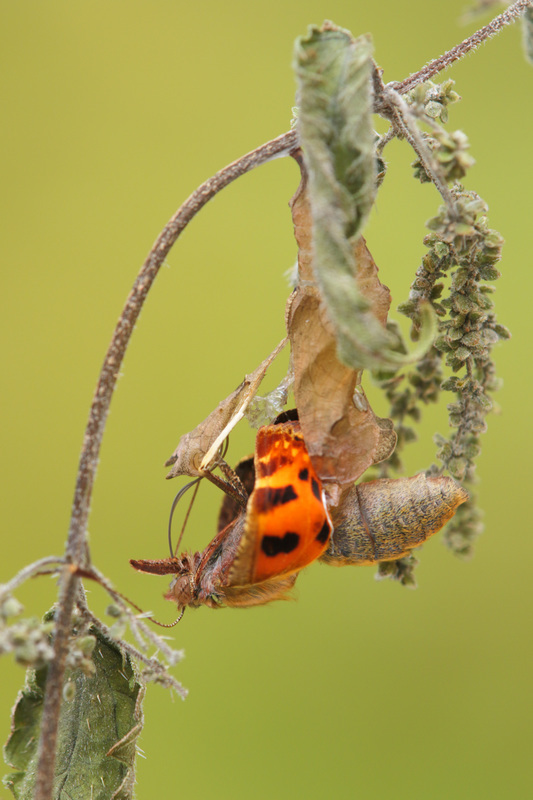 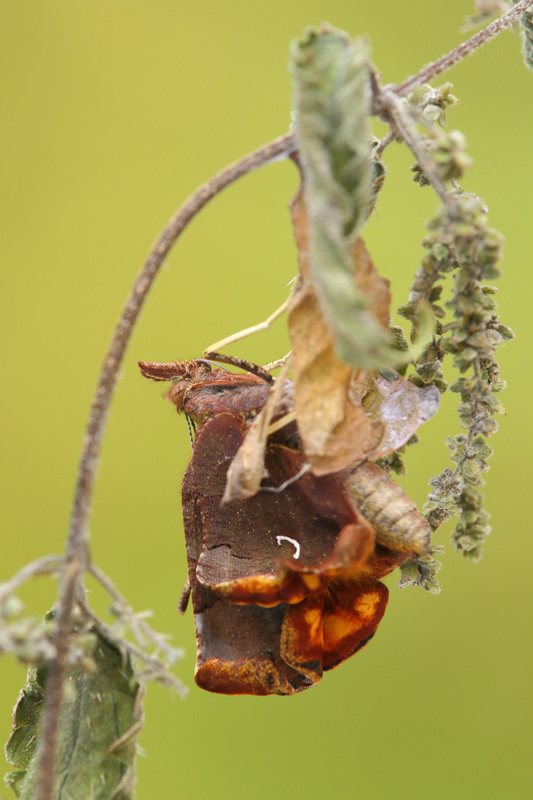 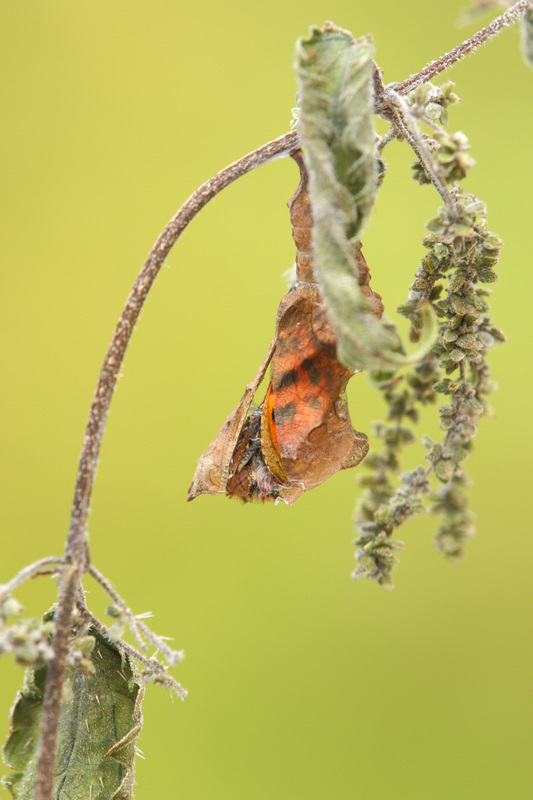 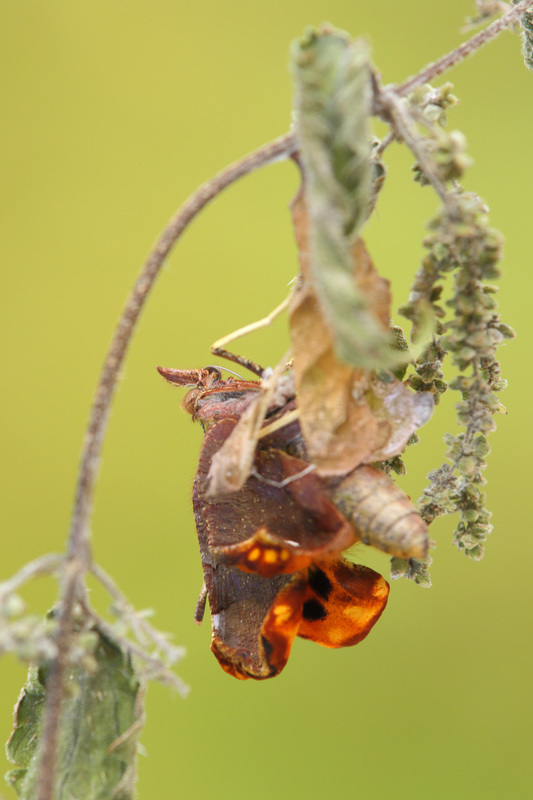 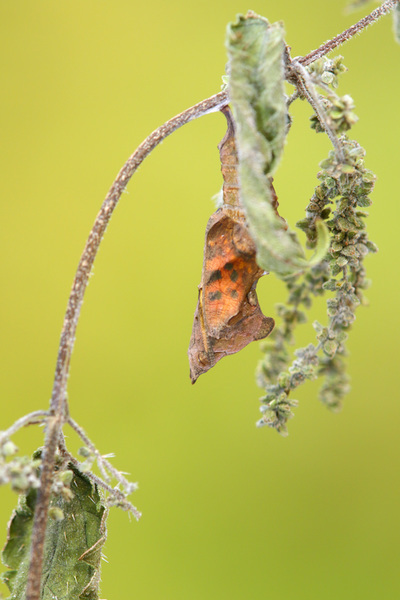 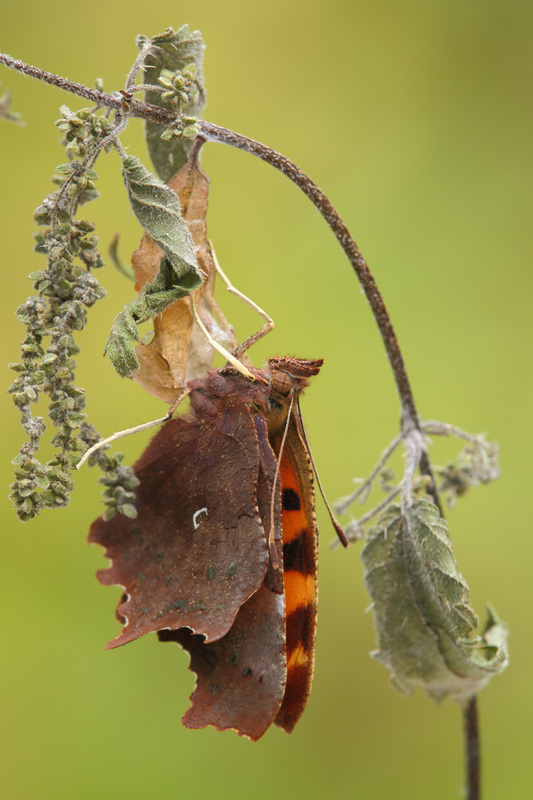 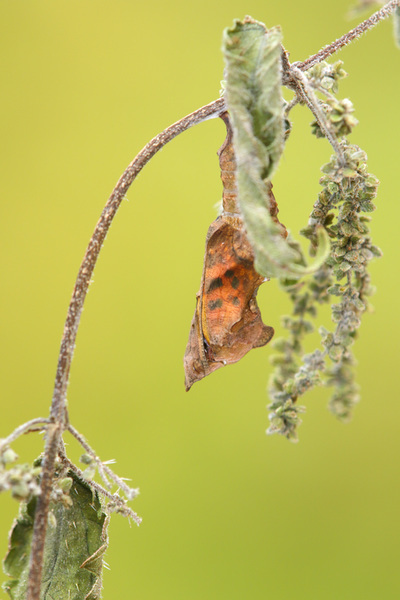 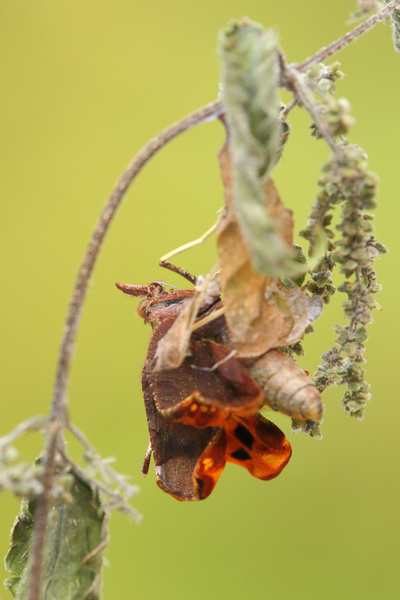 This butterfly has orange uppersides with sooty-brown markings; the undersides are dull brown with a small white 'C' marking. 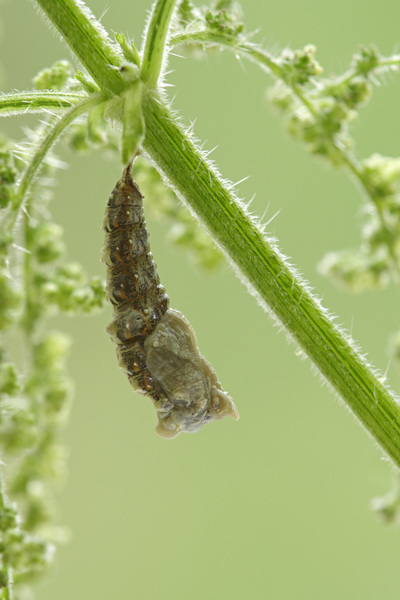 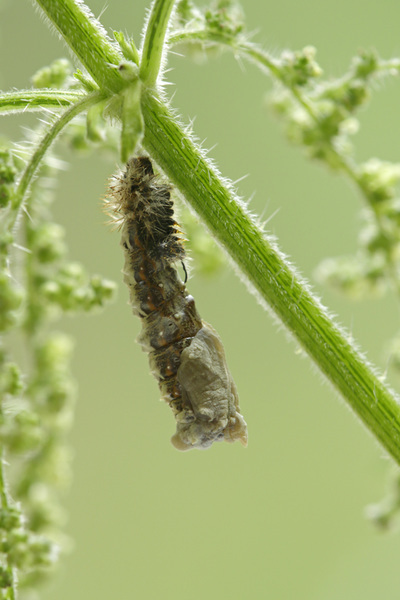 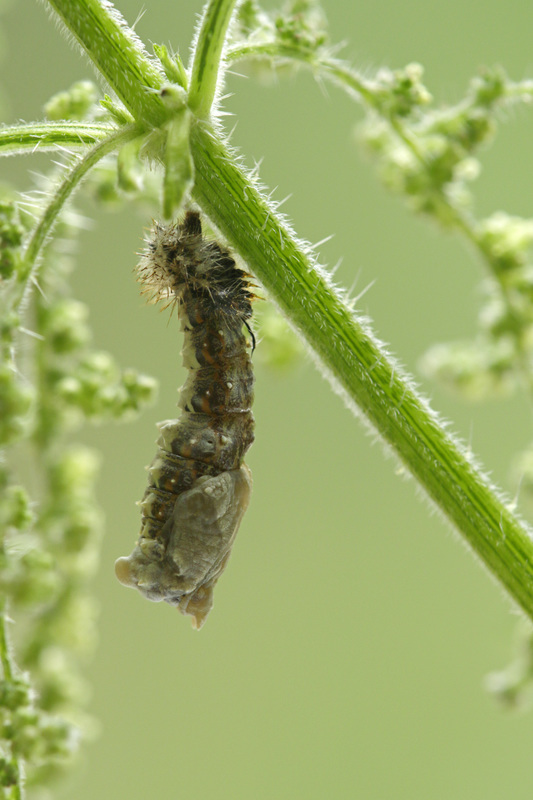 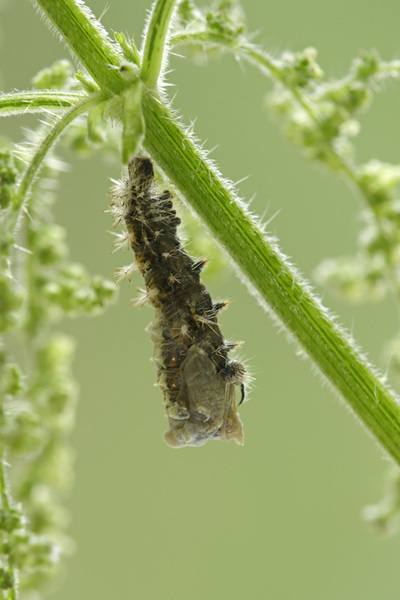 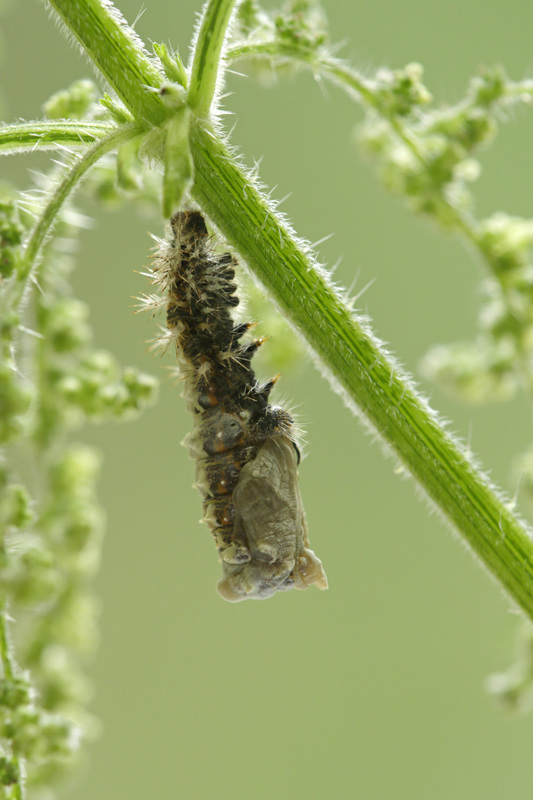 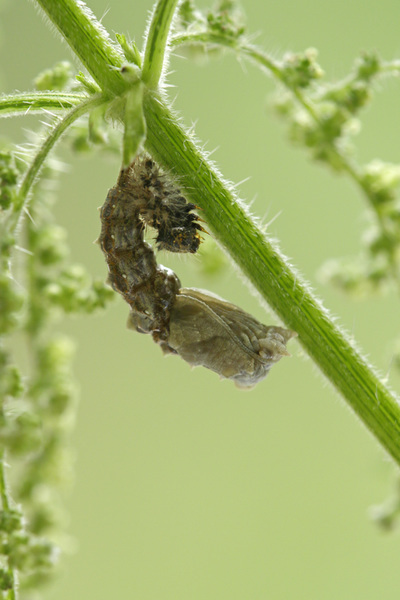 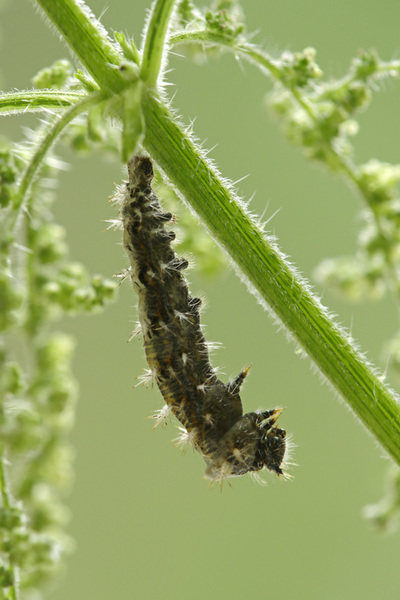 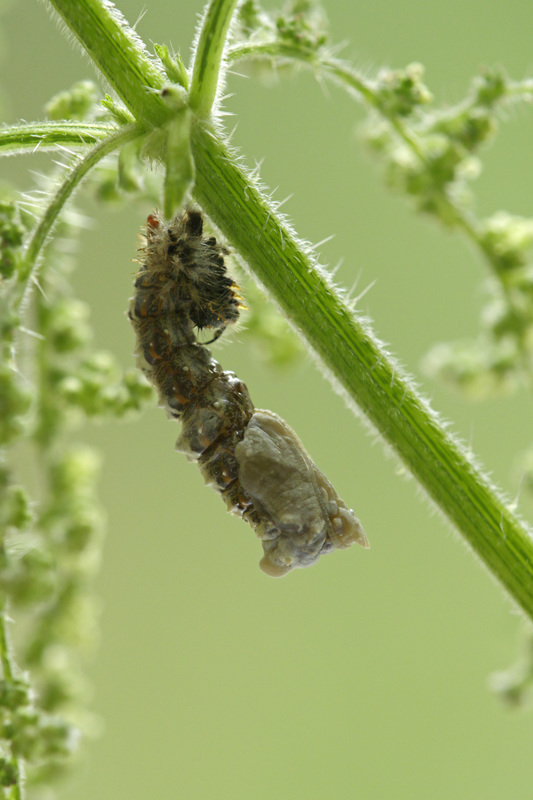 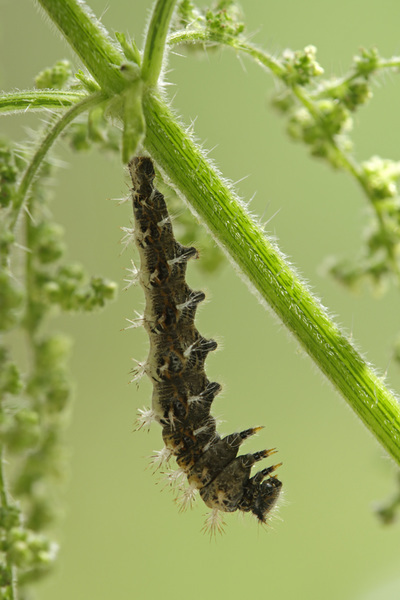 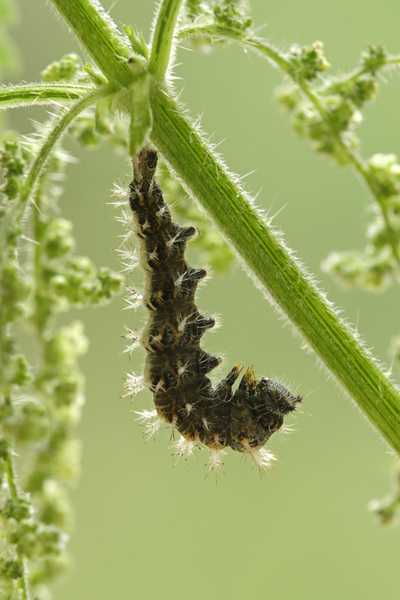 The larval foodplant is Common Nettle. 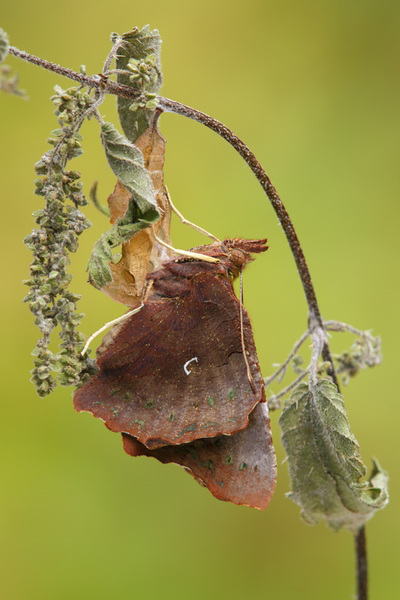 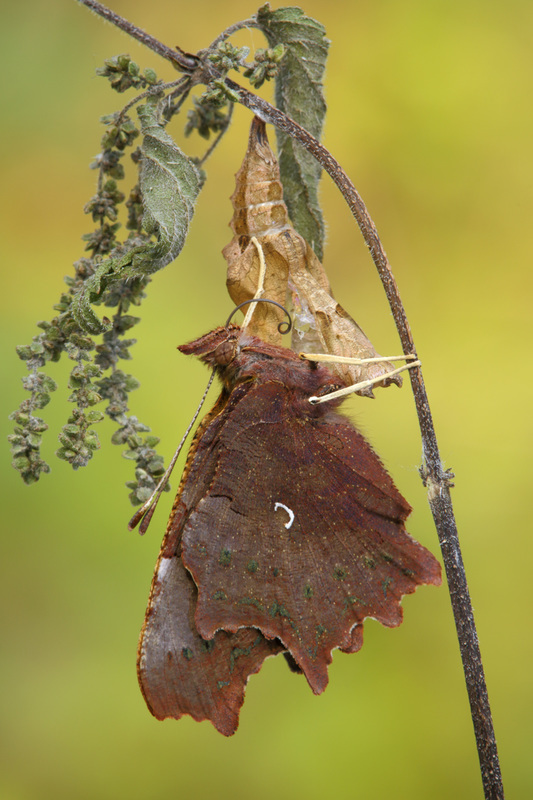 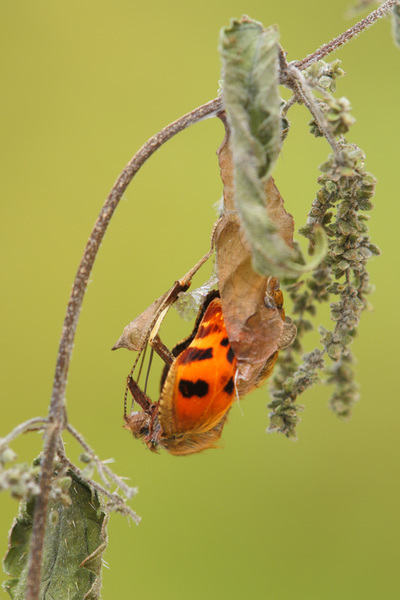 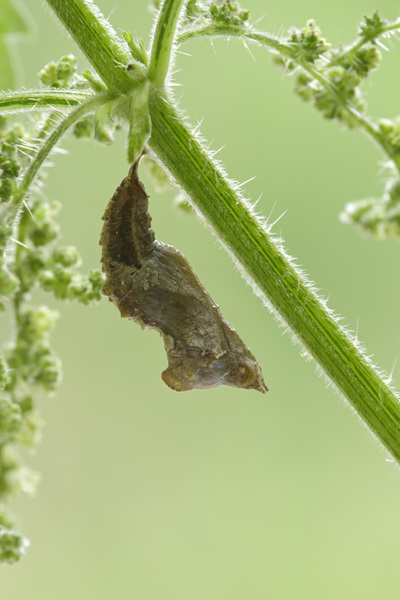 The eggs (yellow) are laid one by one on the underersides of the nettle leaves. The caterpillar is black with a orange hint and resembling a bird dropping. Flight from June to September in two broods and again in spring after hibernation; the species survives the winter in the adult/butterfly stage. 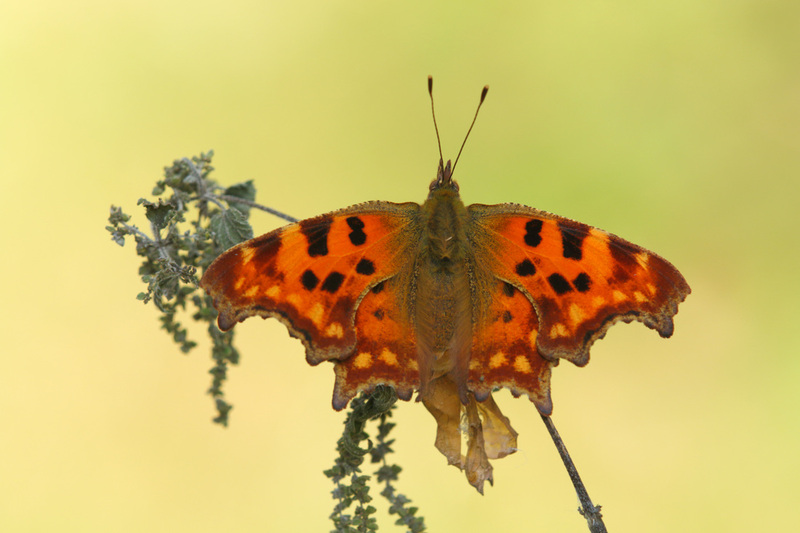 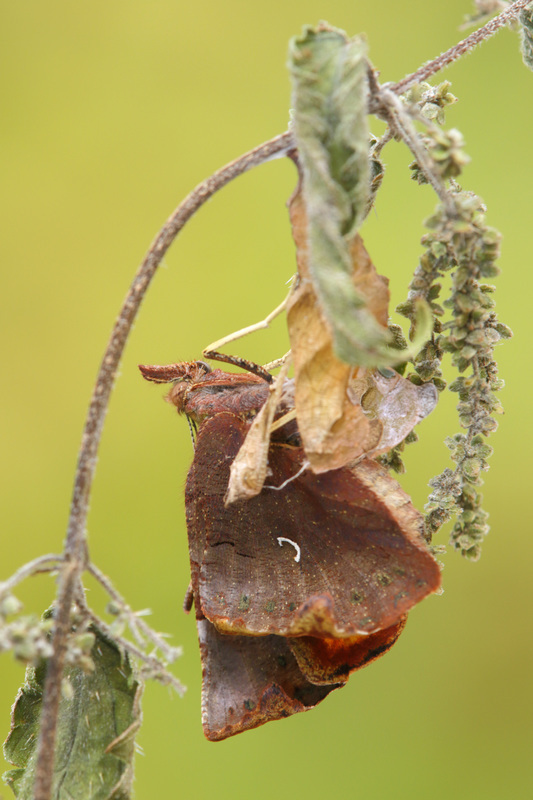 For photos of the other stages please link to my 'regular' page about the Comma Butterfly (Butterfly Gallery -> Nymphalidae).